This fact sheet is intended to provide Navigators, Assisters and Certified Application Counselors with information about people with disabilities who are on the Medicaid Home- and Community-Based Services (HCBS) Waiver waiting list. HCBS waiver recipients and their families can seek health insurance through the Marketplace or through Medicaid expansion if that is occurring in their state, and will have concerns about continuity of care and other issues that are common to many people with disabilities, as well as a few issues that are unique to potential HCBS waiver recipients. What is a HCBS Waiver? A. States must include nursing facility care for Medicaid recipients in their Medicaid programs, but home- and community-based services (HCBS) are available at a state’s option. This bias toward institutionalization, as well as a growing understanding that institutional care is generally more costly than HCBS for individuals with the same level of need, led to the creation of federal Medicaid rules that allow states to establish Medicaid HCBS waiver programs. Generally, the waivers provide a package of medically necessary services and supports to people with disabilities and chronic conditions whose medical and support needs are high enough to require an “institutional level of care,” but who do not want to live in a nursing home or institution and could live in the wider community with appropriate services and supports. States can develop these HCBS waiver programs very narrowly or broadly in terms of the ages and functional ability levels of the eligible population, the number of waiver slots available, their geographic distribution in the state, having an annual cost cap, and other kinds of income or asset conditions that waiver recipients must meet. Most states offer some kind of HCBS waiver program, and in almost every one of these states, there is more demand for waiver slots than there are available slots. HCBS States usually respond by maintaining a waiver “waiting list” of people who are eligible for the program. The list can be maintained on a first come, first serve basis, or on a “prioritization” process that includes additional factors such as the individual’s functional ability, whether the individual already receives any HBCS, whether the individual is in transition, and other indicators of urgent medical or social need. Individuals on the waiting list do not actually receive waiver services until a waiver slot becomes available. States vary considerably on how they place someone on a wait list. Some states fully access individual care needs and financial eligibility before adding someone to the HCBS wait list and periodically contact the person to gauge ongoing interest and eligibility. Other states administer a simplified assessment to determine if an individual is likely to meet waiver requirements, and others just put someone on the wait list with a phone call. This information is relevant because it influences how much a consumer can rely on being successfully transitioned into a waiver slot when their name comes up, and consequently when they would want to end their coverage under a qualified health plan. A. People on a HCBS waiver waiting list, or their families, could be paying out-of-pocket for their health insurance and HCBS needs while they wait for a waiver slot. As a consequence, the Marketplace offers these people an opportunity to apply and potentially for an insurance affordability program. People on a state’s HCBS waiver waiting lists are not necessarily Medicaid beneficiaries as they could have income above the 138% FPL that is the upper limit for Medicaid expansion eligibility. States can create income and asset criteria for HCBS waiver recipients that differs from their general Medicaid eligibility requirements, and have often done so, knowing that HCBS costs can be extremely high for someone who meets a nursing home level. For example, Florida is a Federally Facilitated Marketplace state that has also decided not to expand Medicaid under the Affordable Care Act. Florida has developed numerous HCBS waiver programs such as a waiver for Aged and Disabled Adults and a waiver for people with intellectual and/or developmental disabilities (ID/DD). In 2011, Florida had a total of 44,596 people on their combined waiver waiting lists, consisting primarily of 20,622 on the Aged and Disabled waiting list, and 19,460 in the ID/DD waiting list. At the same time, Florida has chosen to adopt the “special income” rule for HCBS waiver applicants that allows up to 300% of the Supplemental Security Income amount. That currently equates to over $2000/month in income for an individual (over $4000 for a couple), and up to $2000 in assets ($3000 for a couple). Any additional income and assets will not be counted against eligibility if they are placed into a legal trust. This combination of facts means that there are potentially many individuals and families with disabilities who need higher levels of health care, who are already paying significant amounts out-of-pocket for HCBS and medically-related care, and who seek more affordable coverage through the Marketplace since their income makes them ineligible for Medicaid in Florida. In those states that are expanding Medicaid, these individuals and families may be unsure whether they are eligible for Medicaid expansion or a QHP with advance premium tax credits/cost-share reductions. Both QHPs and expansion Medicaid’s Alternative Benefit Plan package offer Essential Health Benefit (EHB) protections that are important to people who are on a HCBS waiver waiting list, but expansion Medicaid offer the great advantage of usually including elements of HCBS such as chore assistance and adult day services. Individuals on the waiver waiting list need to look very carefully at enrolling in Medicaid or in a QHP, and will need assistance with the provider, treatment, prescription, mental health, and medical equipment care continuity concerns that other PWD have when looking at the Marketplace. Note also that individuals who are on a waiver waiting list because they an institutional level of care would also likely trigger and meet a state’s definition of medically frail, and therefore will need information about that additional choice. (See Fact Sheet on Medically Frail Status as an Exemption to Receiving Medicaid Alternative Benefit Plan with Essential Health Benefits). A. For most people on the waiver waiting lists, qualifying for insurance affordability programs through the Marketplace is likely better than many types of private insurance and out-of-pocket HCBS payments, but actually receiving HBCS waiver services is likely better than QHP and/or Medicaid coverage. In part this is because HCBS waivers provide a greater scope, amount and duration of HCBS than certainly any QHP, and Medicaid in general. HCBS waiver services can include care coordination, chore assistance, home health visits, meal assistance, adult day services, respite services for family members, safety/emergency monitoring, educational or employment support, home accessibility modifications and even assistance with finding a home, and so forth. HCBS waiver services can also, depending on how they have been developed by the state, come with greater consumer protections around care assessments, service reductions, and appeal rights than what is available under Medicaid or a health insurance plan. A second unique concern is that people on the waiver waiting list cannot necessarily foresee when a waiver slot will open, or if they will move smoothly from the waiting list to occupy a waiver slot. Like individuals who become eligible for Medicare when they reach a certain age, individuals on a HCBS waiver waiting list will naturally want to transition from either a Marketplace plan or Medicaid when their name comes up on a waiting list. While transitioning from Medicaid within a state may not present special problems (some individuals do transition directly from Medicaid eligibility to a HCBS waiver slot if they are eligible for both programs), transitioning from plan coverage to an HCBS waiver slot could incur penalties if the transition happens outside of the open enrollment period and during the plan’s contract period. At the time of the writing of this fact sheet, we are not aware of the federal Centers for Medicare and Medicaid (CMS) addressing this specific issue, though CMS has addressed the Medicare transition issue to indicate that new Medicare enrollees should not be penalized for leaving the Marketplace prematurely. What will Marketplace consumers who are on a HCBS waiver waiting list need to know? Am I eligible for Medicaid expansion? 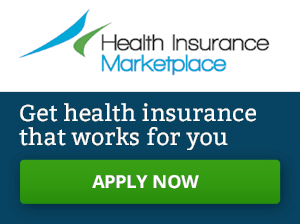 Can I buy insurance through the Marketplace? Do any QHPs offer HCBS? How do I keep my physical or mental health doctors, drugs, complex rehabilitation specialists? If my name comes up on the waiver waiting list outside of open enrollment, will I be penalized for taking the slot and therefore becoming ineligible for Marketplace insurance? As someone offering Marketplace consumer assistance, the important thing for you is to be aware that consumers with disabilities may have applied and be on waiting lists for a HCBS waiver, to understand the implications of this for their application and your assistance, and to flag relevant next steps and choices that they will have to make if they succeed in obtaining expansion Medicaid or becoming a member of a QHP through the Marketplace.